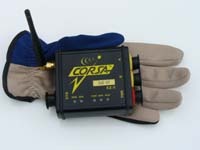 EZ-II Corsa Data Logger systems feature 8 analog and 2 RPM data channels, easy-to-use one-click wireless data download, and programmable sampling rates in a waterproof housing measuring 4.5” x 3.4” x 1.5” and weighing 8.7 oz. See What Our Customers Have To Say About Corsa! The IntelliDash is an easy, inexpensive way to add a display to any vehicle that uses Corsa data acquisition.